RESET is a multi-university and interdisciplinary research and outreach initiative that seeks to identify, study, and challenge patterns of social inequality in the current tourism industry. Special attention is focused on enhancing the role of racial and ethnic minorities in development. Little sustained work has been done on the preferences, characteristic, and challenges of minority travelers and there is a need to incorporate the natural and cultural heritage of racial and ethnic populations into tourism products available to the consuming public. In addition to being a convenient acronym, RESET captures the progressive nature of the initiative and the belief that tourism development, if done in sustainable and responsible ways, can be tools for racial reconciliation and minority empowerment- in effect pressing the “reset” button on the inequalities and insensitivity of the traditional tourism industry. Special attention is devoted on the racialized politics of travel, mobility, and hospitality, the African American freedom struggle, and the critique and reform of tourism in the southeastern United States. $445,423. “Transformation of Racialized American Southern Heritage Landscapes.” National Science Foundation, Geography and Spatial Sciences. Co-PI with David L. Butler, Candace Bright, Perry Carter, Stephen Hanna, Arnold Modlin, and Amy Potter, 2014-2018 (Research Grant). The objective of this research is to contribute to the theorization of the transformation of racialized southern heritage landscapes within the United States. Long dominated by white-centric conceptions of identity, social actors, and groups in the South have traditionally ignored, misrepresented, and trivialized African-American contributions and struggles within the region’s landscape iconography and tourism. This historical marginalization has been acutely evident at antebellum plantation tourism sites, which have been decidedly silent about the lives and struggles on the enslaved community. Recent evidence indicates southern heritage landscapes, including plantation sites, are increasingly bringing African-American struggles front and center within the representation of the history of the South and the United States. This transformation is a complex and sometimes dissonant process open to multiple and contradictory constructions and interpretations by plantation owners/managers, tour guides/docents, and the tourists/visitors themselves. The researchers propose to examine the processes and politics of incorporating slavery into plantation landscapes, recognizing that these landscapes consist of built (material), textual (representational), and performative (bodily) aspects that can advance and significantly affect the production and consumption of public memories of the enslaved. 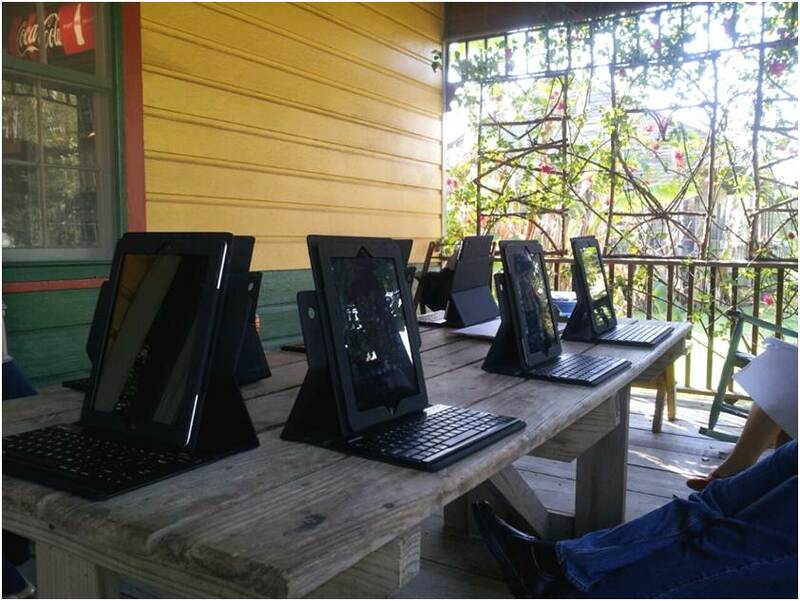 Building upon a recent substantial pilot study, the research team will conduct extensive mixed-method field work, visiting several plantation sites in three major southern tourism regions (Louisiana, Georgia-South Carolina, and Virginia) to interview plantation owners/operators and docents, survey and interview tourists, and carry out participant observation and content analysis of guided tours of the plantation landscape. This research provides a lens into exploring the manner and extent to which southern plantations are moving toward an incorporation of the history of slavery into the memorial landscape of the nation and region, the factors motivating that incorporation of enslavement, and the role the landscape plays in narrating these traditionally marginalized histories. Alderman, Derek H. (in press, available online) “The Racialized and Violent Biopolitics of Mobility in the USA: An Agenda for Tourism Geographies.” Tourism Geographies (invited editorial to mark 20th anniversary of journal). Benjamin, Stefanie and Derek H. Alderman. 2018. “Performing a Different Narrative: Museum Theater and the Memory-Work of Producing and Managing Slavery Heritage at Southern Plantation Museums.” International Journal of Heritage Studies 24(3): 270-282. Hanna, Stephen P. Derek H. Alderman, and Candace Bright. 2018. “From Celebratory Landscapes to Dark Tourism Sites? Exploring the Design of Southern Plantation Museums.” The Palgrave MacMillian Handbook of Dark Tourism Studies (edited by Philip Stone lead editor, with Rudi Hartmann, Tony Seaton, Richard Sharpley, Leanne White), pp. 399-421. Alderman, Derek H. and Caspersen, Janna. 2018. “Barbecue Tourism: The Racial Politics of Belonging within the Cult of the Pig.” Tourism Experiences & Animal Consumption: Contested Values, Morality, & Ethics. (edited by Carol Kline), pp. 102-118. Bright, Candace Forbes, Derek H. Alderman, David L. Butler. 2018. “Tourist Plantation Owners and Slavery: A Complex Relationship.” Current Issues in Tourism 21(15): 1743–1760. Benjamin, Stefanie, Carol Kline, Derek H. Alderman, and Wilson Hoggard. 2016. “Heritage Site Visitation and Attitudes Toward African-American Heritage Preservation: An Investigation of North Carolina Residents.” Journal of Travel Research 55(7): 919-933. Alderman, Derek H., David L. Butler, and Stephen P. Hanna. 2016. 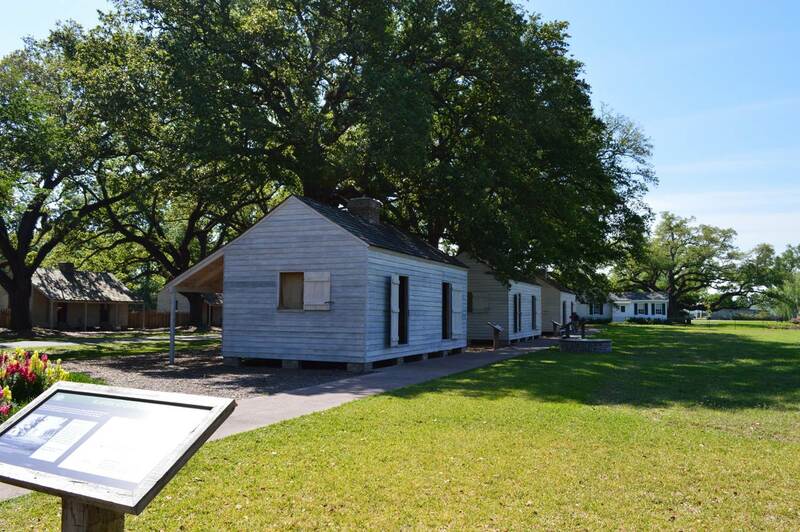 “Memory, Slavery, and Plantation Museums: The River Road Project.” Journal of Heritage Tourism 11(3): 209-218. (Non-refereed introduction to special thematic issue guest edited by author, David L. Butler, and Stephen Hanna). Alderman, Derek H., and E. Arnold Modlin Jr. 2016. “On the Political Utterances of Plantation Tourists: Vocalizing the Memory of Slavery on River Road.” Journal of Heritage Tourism 11(3): 275-289. (Special issue on slavery and plantation tourism guest edited by author, David L. Butler, and Stephen Hanna). Alderman, Derek H. and Joshua Inwood. 2014. “Toward a Pedagogy of Jim Crow: A Critical Reading of The Green Book.” Teaching Ethnic Geography in the 21st Century, National Council for Geographic Education (edited by Lawrence Estaville, Edris Montalvo, and Fenda Akiwumi), pp. 68-78. Carter, Perry, David Butler, and Derek H. Alderman. 2014. “The House that Story Built: The Place of Slavery in Plantation Museum Narratives.” Professional Geographer 66(4): 547–557. Hao, Huili, Derek H. Alderman, Patrick Long. 2014. “Homeowners’ Attitudes toward Tourism in a Mountain Resort Community: A Comparison of Seasonal and Permanent Property Owners.” Tourism Geographies 16(2): 270-287. Kline, Carol, Hao Hao, Derek H. Alderman, Jim Kleckley, and Scott Gray. 2014. “A Spatial Analysis of Tourism, Entrepreneurship and Entrepreneurial Ecosystems in North Carolina, U.S.A.” Tourism Planning & Development 11(3): 305-316. Alderman, Derek H. 2013. “African Americans and Tourism.” Tourism Geographies 15(3): 375-379. Non-refereed introduction to special thematic issue guest organized by author and Selima Sultana. Alderman, Derek H. and Arnold Modlin, Jr. 2013. “Southern Hospitality and the Politics of African American Belonging: An Analysis of Photographs in North Carolina Tourism Brochures.” Journal of Cultural Geography, 30(1): 6-31. Alderman, Derek H. 2013. “’History by the Spoonful’ in North Carolina: The Textual Politics of State Highway Historical Markers.” Southeastern Geographer, 52(4): 355-373. Benjamin, Stefanie K., Paige P. Schneider, and Derek H. Alderman. 2012. “Film Tourism Event Longevity: Lost in Mayberry.” Tourism Review International 16: 139-150. Alderman, Derek H., Stefanie Benjamin*, and Paige P. Schneider. 2012. “Transforming Mount Airy into Mayberry: Film-Induced Tourism as Place-Making.” Southeastern Geographer 52(2): 212-239. Alderman, Derek H. and G. Rebecca Dobbs. 2011. “Geographies of Slavery: Of Theory, Method, and Intervention.” Historical Geography 39: 29-40. Modlin, E. Arnold Jr., Derek H. Alderman, and Glenn W. Gentry. 2011. “Tour Guides as Creators of Empathy: The Role of Affective Inequality in Marginalizing the Enslaved at Plantation House Museums.” Tourist Studies 11(1): 3-19. Alderman, Derek H. 2010. “Surrogation and the Politics of Remembering Slavery in Savannah, Georgia.” Journal of Historical Geography 36: 90-101. Alderman, Derek H., and E. Arnold Modlin, Jr. 2008. “(In)Visibility of the Enslaved within Online Plantation Tourism Marketing: A Textual Analysis of North Carolina Websites.” Journal of Travel and Tourism Marketing 25(3-4): 265-281.